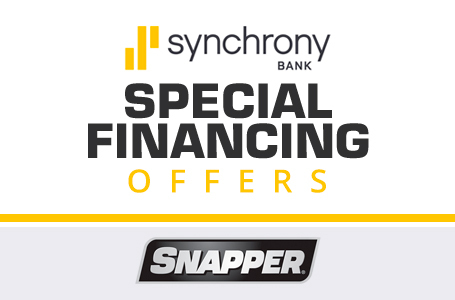 The Snapper® 60V Max Lithium-Ion Cordless Chainsaw powered by a Briggs & Stratton® Battery allows for easy operation at the click of a button. 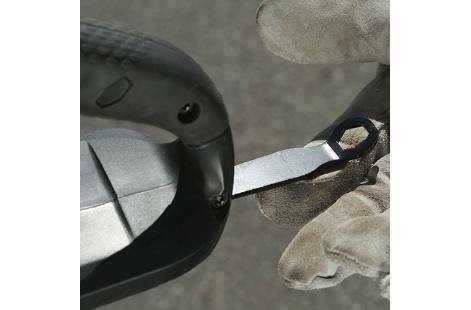 This chainsaw includes easy-to-use features, such as side chain tensioning for quick and easy chain adjustments and an automatic oiler with an easy view oil window for ensuring your chainsaw is running efficiently and safely. 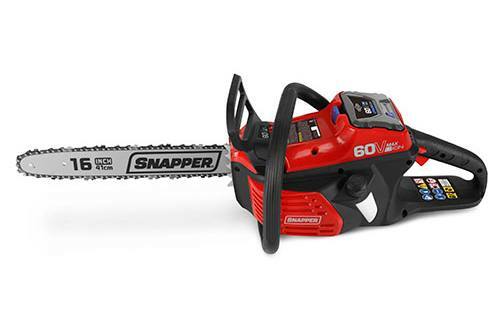 The Snapper 60V Battery Powered Chainsaw offers 50% less noise and vibration* for quieter sawing and better handling. 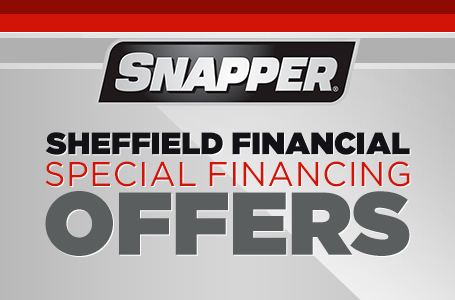 Experience reliable power, easy starting and minimal maintenance with the Snapper Battery Powered Chainsaw. 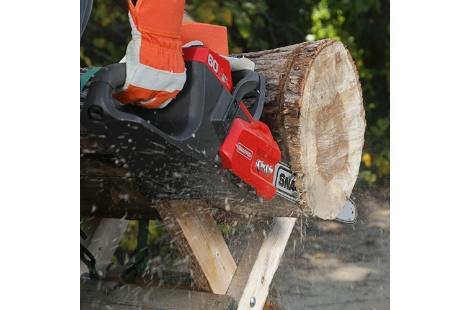 16 Inch Bar and Chain: Tackle larger diameter logs with this durable chainsaw chain. 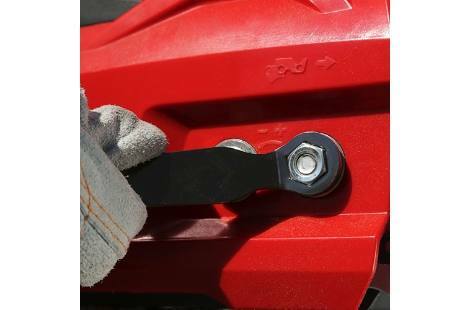 Variable Chainsaw Speed Trigger: For added user control, this chainsaw features a variable speed trigger. Simply pull the trigger to your desired speed. * Run time and output capacity may be affected by conditions. ^ Suggested prices will vary by market. Prices in U.S. dollars. Set-up, delivery, documentation, and destination fees not included. See dealer for details. Features vary by model. We reserve the right to change specifications, features and pricing without notice. 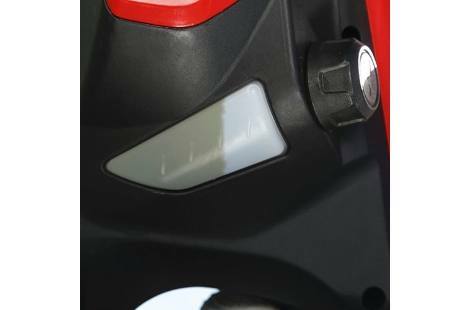 † See operator's manual or dealer for complete warranty details. Length of engine warranty coverage varies by manufacturer.